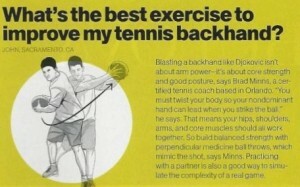 TENNIS TIP #1 – Stretch well and exercise. It takes your whole body to play tennis. 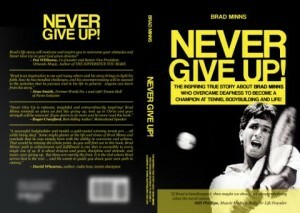 NEVER-GIVE-UP TIP #1 – Tune into pain. It can help you identify muscular gains and warn of potential injury. TENNIS TIP #2 – Take time to tennis. Improvement in anything comes through consistent practice. Budget time weekly. NEVER-GIVE-UP TIP #2 – Make it a time of personal growth and ministry too. TENNIS TIP #3 – Learn from others. Get a trainer or play with someone that has more experience and can give you advice. NEVER-GIVE-UP TIP #3 – Be theologically literate. Arm yourself daily for spiritual challenges by a solid knowledge of the Bible.